UPND leader Hakainde Hichilema has reiterated that he harbours no bitterness against the many people behind his brutal and inhuman arrest and detention. 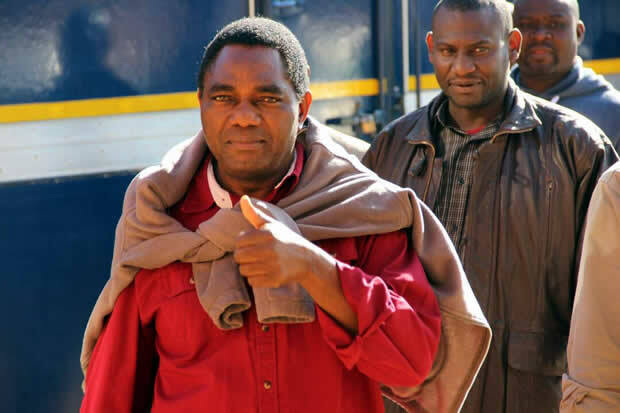 Speaking at the Anglican Cathedral of the Holy Cross on Tuesday during thanks giving prayers following his release from prison together with his colleagues, Hichilema said if he did not forgive those who engineered his arrest he would have no credibility to claim that he was different from them. He said he was committed to unifying the country and turn the injustice against him and others into an opportunity to re-unify the country which is divided. And Hichilema lamented that the era of political detainees which ended with the likes of Dr Sketchley Sachika and Dr Vernon Mwaanga was now back in Zambia. He called for prayers for the many people who remain in detention across the country some on trumped up charges. How can elections be free or fair when…?